Raw Vegan Apricot and Date Protein Truffles with Sunwarrior Classic Plus…a clean, healthy recipe made with whole food ingredients and Sunwarrior Classic Plus Organic Plant-Based Protein and they’re organic, raw, vegan, gluten-free, dairy-free, paleo-friendly and contain no refined sugar. This is a sponsored post brought to you by Sunwarrior Classic Plus. I love incorporating clean, plant-based protein powders into my recipes and today I want to share with you a new one I was recently introduced to which I used to make these Raw Vegan Apricot and Date Protein Truffles. 18 g / 36% dv of vegan protein which has a complete amino acid profile. 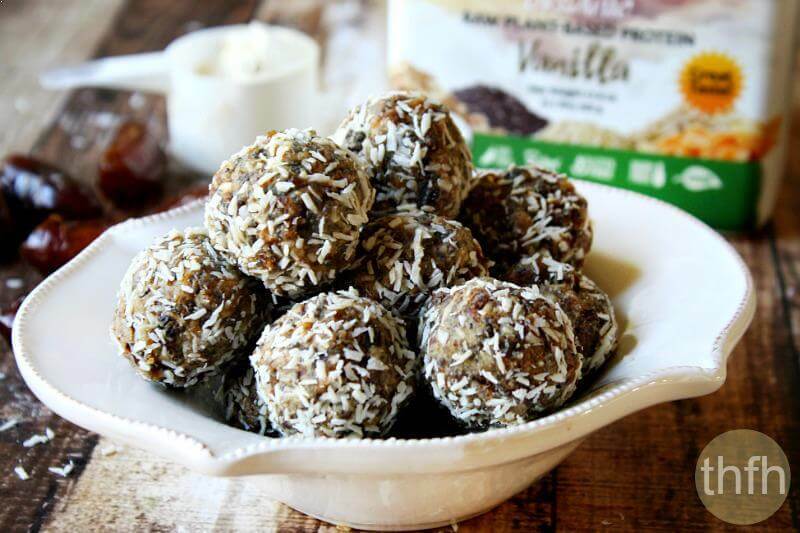 While raw plant-based proteins powders are typically used for smoothies, these clean eating truffles are a perfect example of how you can use it for a different kind of healthy, energy boosting protein snack. No chemicals, no fillers, no artificial ingredients, no GMO’s, no animal products and it’s organic, raw, vegan, gluten-free, dairy-free, soy-free, paleo-friendly and contains no refined sugars. Sunwarrior is providing a (1) 1.1 container of it’s Classic Plus Plant-Based Protein to one lucky winner. Check out the entry options below with up to 5 chances to enter! Please note that the giveway is only open to U.S. residents (excluding Hawaii). Good luck and thank you Sunwarrior for the giveway! Where to Buy: You can purchase Sunwarrior Classic Plus Plant-Based Protein or any of their other products from the official Sunwarrior website, or here from Amazon. Step 1 Add all ingredients to a food processor and pulse on high until everything is blended and it becomes a sticky, crumbly texture. Remove a spoonful out at time, squeeze it tightly in your fist and shape it into a ball shape using your fingertips. 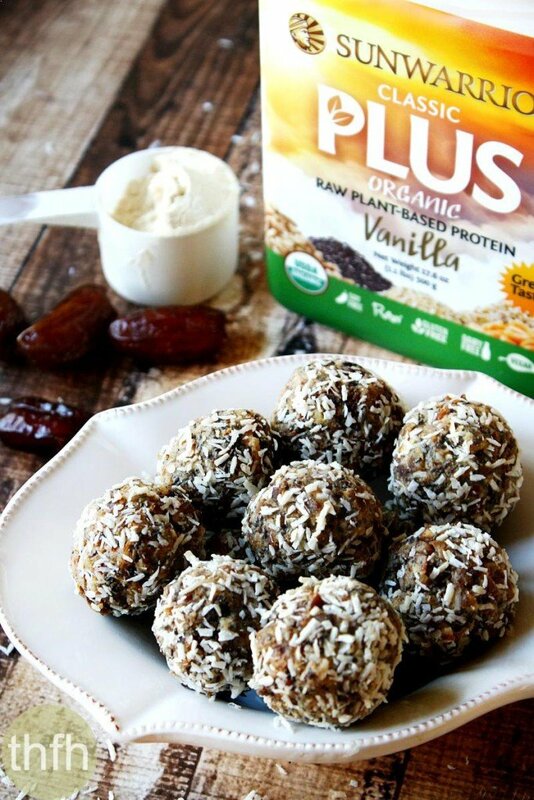 Optional: Roll each truffle in a small bowl filled with shredded coconut flakes (or chia seeds) as a topping. Put them in the refrigerator for approximately 15 - 30 to firm. Store in the refrigerator or freezer until ready to serve because they will become soft if left out at room temperature. This recipe will make approximately 10 - 12 small truffles. The recipe and photographs for "Raw Vegan Apricot and Date Protein Truffles" by Karielyn Tillman of The Healthy Family and Home are licensed under a Creative Commons Attribution Non-Commercial 4.0 International License and cannot be used without my written permission. Disclosure: This post is sponsored by Sunwarrior. I received product to review and use in creating a new recipe. I was under no obligation to give a positive review and was compensated for my time. All thoughts, opinions and comments are my own. Thank you for supporting the brands who make this website possible! Make sure you check out all the Sunwarrior social media pages: Facebook, Twitter, Instagram, YouTube. I would like to win Sunwarrior Classic Plus Plant-Based Protein to improve, motivate, and encourage me to make wise choices and activities for my health. I just tried the Warrior Blend vanilla Sun Warrior protein powder and loved it. I’d really like to try more from their line, so it would be awesome to win this! Teaching nighttime fitness classes has definitely increased my reliance on protein shakes to refuel! protein is a key nutrient to get daily (and enough of) and sun warrior products are great! I’ve always loved apricots and have a new found love of medjool dates. 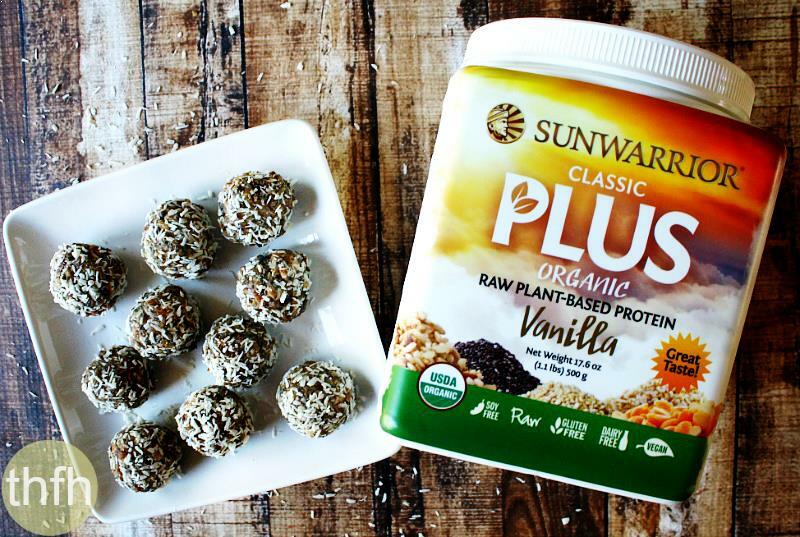 Love the idea of incorporating Sunwarrior Organic Classic Plus Protein Vanilla. Would love to win some so I can test out this recipe! I’d like to win because I’ve just discovered cooking with protein powder and I’m anxious to try more recipes and products! I love Sunwarrior’s Warrior Blend and I’d love to try the Classic Plus! I like that it is gluten free and a great way for me to get protein into my diet.